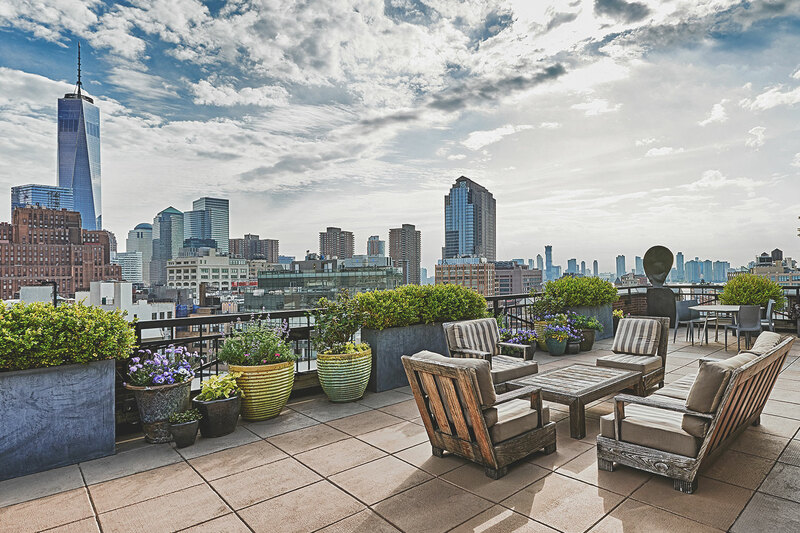 This breathtaking Downtown Penthouse spans 1,500 square feet of craftsman interiors with a 1,200 square foot outdoor terrace. Featuring two bedrooms, an open plan living room for entertaining or lounging, and a full-service cocktail bar. This Penthouse Suite pays homage to SoHo’s 1970’s artist lofts without sacrificing the finest of modern amenities and technology. Loft South is outfitted with Premium high-speed WiFi, smart Samsung television and Tivoli clock radio. 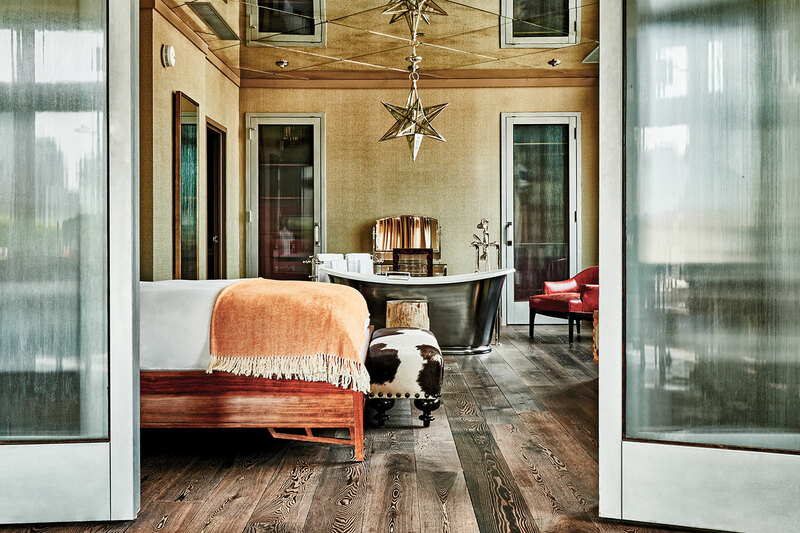 Distinct in design, Loft South features elected ebonized hardwood, exposed concrete, and marble surfaces that are handsomely juxtaposed with silk drapery, floor-to-ceiling windows, and fine-grain Italian leathers. The bathroom features black subway tile, a soaking tub and a Saul Steinberg-designed cityscape wallpaper. Boasting incredible views of downtown New York, the South Loft is ideal for receptions, honeymoons, special events and unforgettable romantic getaways. 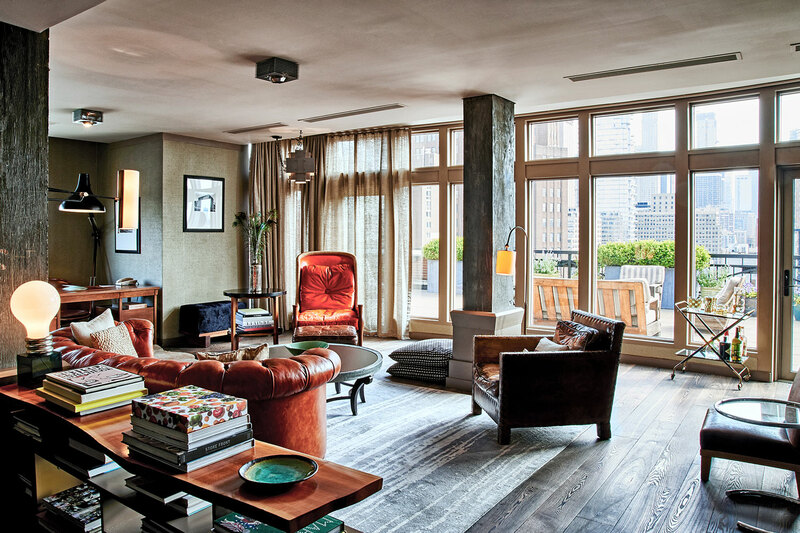 For Loft Reservations, please contact our Sales team at (212) 965-3461, sales@sohogrand.com. For private events, please see the details here.